If you are anything like us, you'll find changing batteries a bit of a faff. Securing a battery with just a regular Velcro strap can a be a little bit awkward and sometimes difficult to secure tightly. That's where this battery mount comes in. Unlike conventional Velcro straps which use a loop and then wrap around on themselves, this one has Velcro hocks on both ends so it secures to itself on both sides. This makes battery changes much quicker; trust us it works very well. 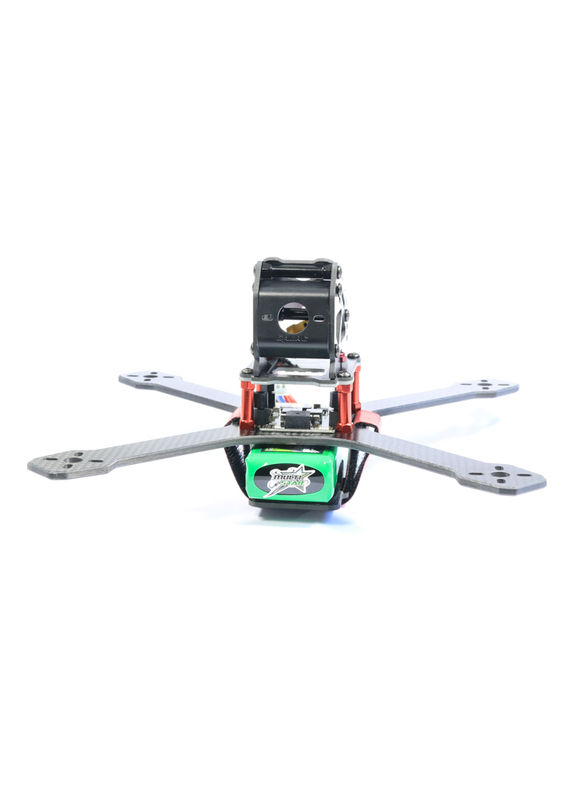 With it, the mount can hang below your frame so you can simply insert the battery and then adjust the strap to secure. The mount comes with a anti-slip foam pad so the battery ends up being held very securely. 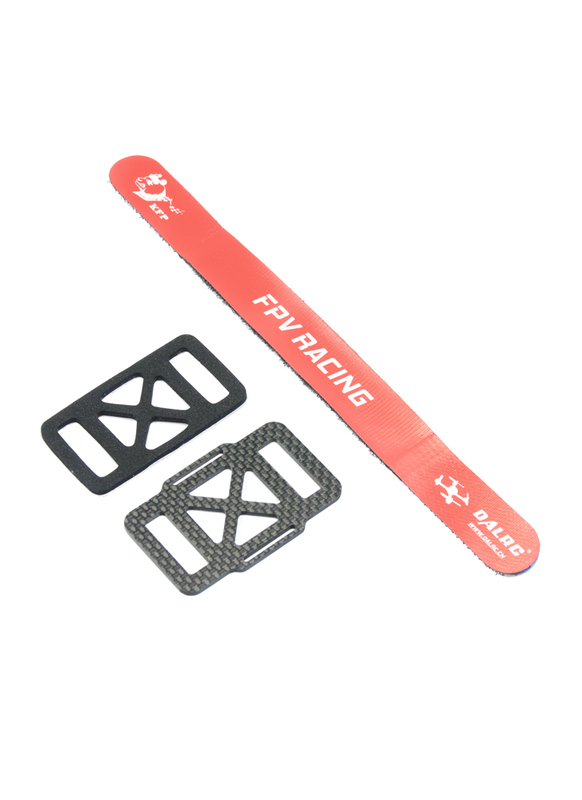 The carbon fibre plate also gives the battery some extra crash protection. 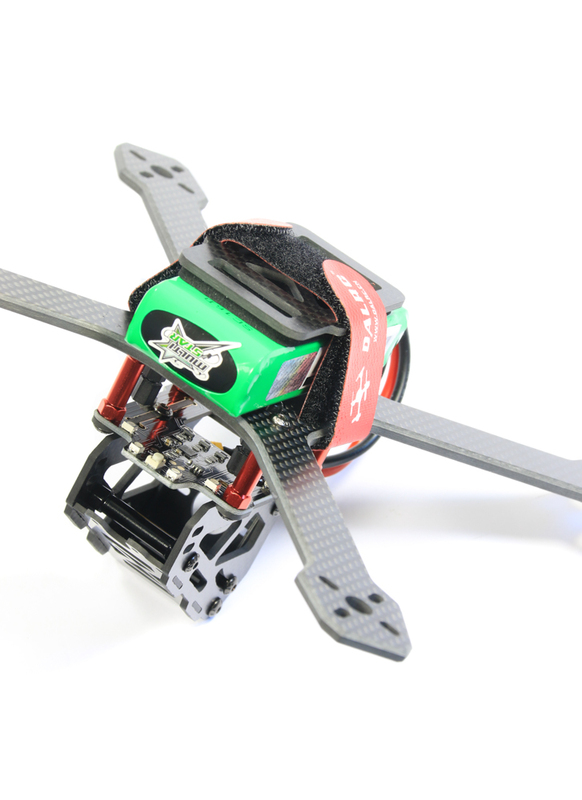 The mount is the perfect size to hold a 3-4S racing drone battery. 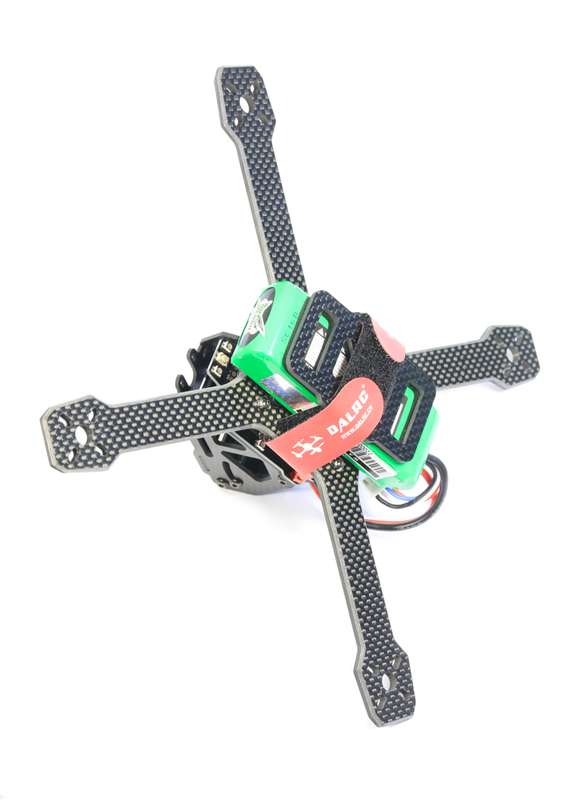 To use this mount, your frame must have two battery strap slots.